An online portfolio has become a must for most creatives in today's era. And fortunately, building one is also not very difficult, thanks to the power of Wordpress. But slightly sad part of the story is that choosing a beautiful yet highly customizable portfolio theme for your Wordpress based portfolio can be difficult. There're so many options to choose from, and almost all of them feel promising at first glance. But don't worry, because we've done some heavy lifting for you. 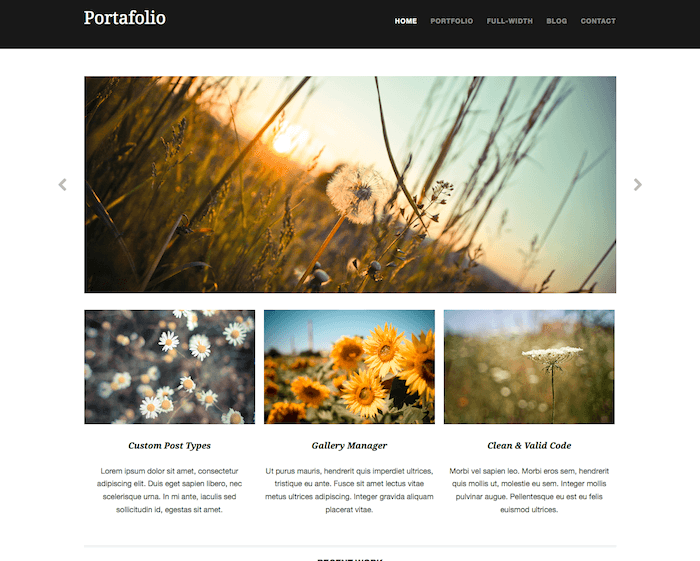 In this review we're going to introduce you to one such beautiful and customizable portfolio theme called Portfolio Gallery. Visual yet multipurpose: Though Portfolio gallery is a theme designed to showcase images in a very elegant manner, it makes the cut for a wide range of websites. For example, it can be successfully utilized to create a business portfolio, personal branding website, corporate website etc. 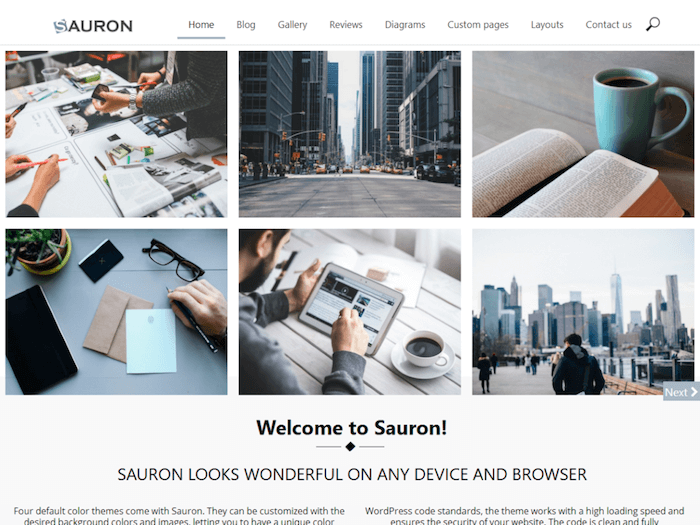 Easy to use back-end: The back-end of theme built on web-dorado framework is very easy to use and brings a lot of functionality and customization capabilities to the theme. This allows the user to change a wide range of styling elements (i.e. colors, fonts, layout etc.) without the need of coding knowledge. Pre-defined templates for easy setup: The theme comes with many pre-defined templates that can be used to set it up easily. There're many full-width templates with different menus, sidebars and layout settings. Plugin support: All major plugins that you may want to install are supported by the theme. Whether it's JetPack, bbPress, WooCommerce or any other popular plugin; you won't have trouble installing and using it as long as you're using this theme. Other common features include cross-browser compatibility, responsive design, full-width front page slider with lightbox shadow and many others. 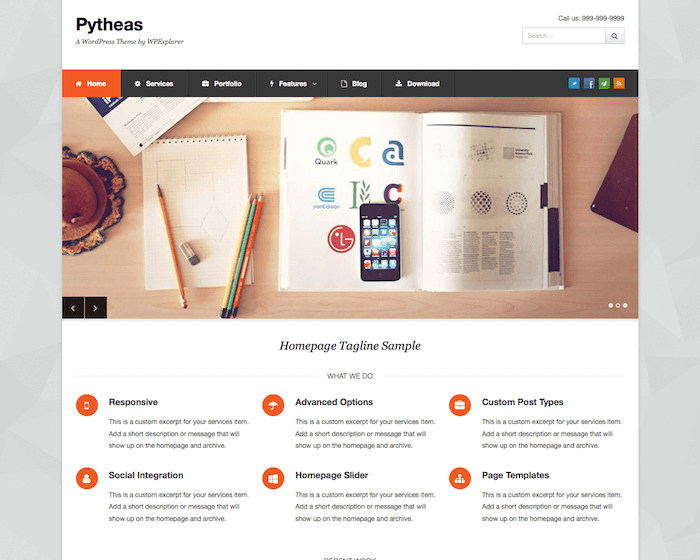 Web-dorado provides the basic version of theme for free. In that version updates are provided for bug fixes only, front page slider can have up to two slides only and no support is provided. If you want more slides in front-page and support for your website, their cheapest package is Personal one, which costs $20 and brings support of 6 months for 1 domain with unlimited slides on the front page. They also have a Business package costing $30, which brings you the support of 1 year for 3 domains. Still not enough? You can buy the Developer package then, which costs $40 and comes with 1 year of support for unlimited domains. 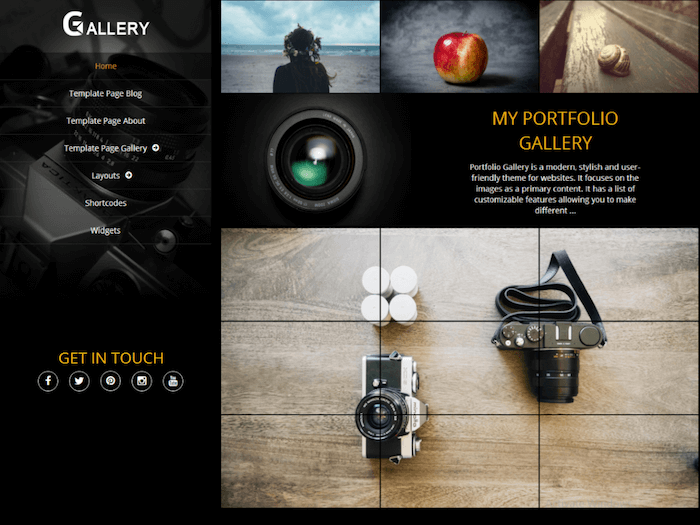 If you want to set up an online portfolio of any type, Portfolio Gallery is a theme you should consider seriously. And even if you don't want to set up an online portfolio but something else that requires displaying a lot of images, you should still give it a serious thought as it has been designed to showcase images in a stunning way.